Falcon 9 launched in late February carried the first demonstration satellites for SpaceX’s satellite internet constellation (Starlink). The U.S. Federal Communications Commission approved an application by Space Exploration Holdings (SpaceX) to provide broadband services using satellite technology in the United States and around the world. "This is the first approval of a U.S.-licensed satellite constellation to provide broadband services using a new generation of low-Earth orbit satellite technologies," stated FCC in a press release issued on Thursday. 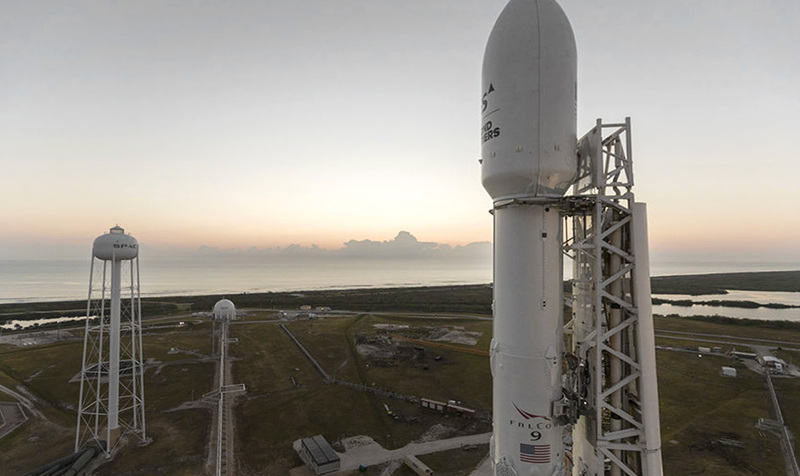 Grant Gross reporting from Internet Society writes: "If all goes as planned, Elon Musk's SpaceX will eventually launch 4,425 satellites into orbit with the goal of delivering broadband service to all corners of the Earth. ... Once deployed, the low-Earth orbit satellites will cover the entire United States, including Puerto Rico and the U.S. Virgin Islands, and eventually, provide 'full-time coverage to virtually the entire planet'." SpaceX expects to have more than 40 million subscribers to its global satellite broadband service by 2025, bringing in over $30 billion in revenue, according to a Wall Street Journal report published last year based on internal company documents it had obtained. Local Time: Thursday, April 25, 2019 11:57 AM PDT – Page Load: 0.4217 Sec.